Here’s a new way to serve your Paleo eggs Benedict: use a “mat” of bacon for the base in place of a muffin, and top the egg off with a generous spoonful of creamy avocado sauce. It’s rich enough that you probably wouldn’t want it every day, but it’s delicious as a treat for Sunday brunch, and certainly an impressive meal to feed a special guest. A main course this rich needs something a little lighter to go with it: melon slices or fresh fruit salad would be good. Baby greens or fresh asparagus would also be good in season, and of course potatoes are a classic side for eggs Benedict if you’re in the mood for something hearty. To make the bacon bases for the eggs, just weave together a few strips of bacon into a little mat, large enough to hold an egg but not so big it’s hard to pick up with a spatula (the picture below should give you a good idea of what you’re aiming for). Then poach your eggs and whip up the avocado sauce while the bacon is cooking, and brunch is served! 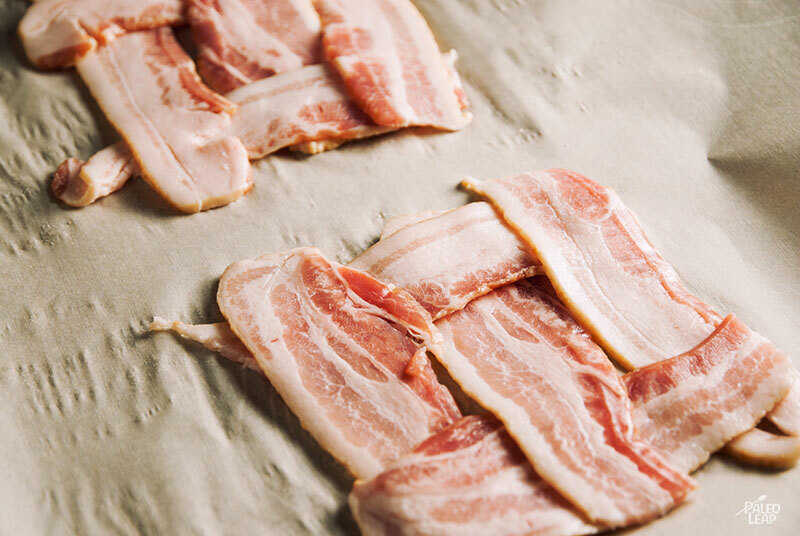 On a baking sheet, arrange the bacon into four separate bases for the eggs: each base should be a few pieces of bacon arranged in a weave pattern (see the picture). Cook the bacon bases in the oven for 15 to 20 minutes. Puree the avocado, lemon juice and garlic powder in a food processor until smooth. Add the olive oil or water until you get a thick but pourable consistency. Season to taste with sea salt. Bring a pot of water to a boil, drop an egg in, and let it cook until the whites are set (2 to 4 minutes). Remove and repeat for the remaining eggs. 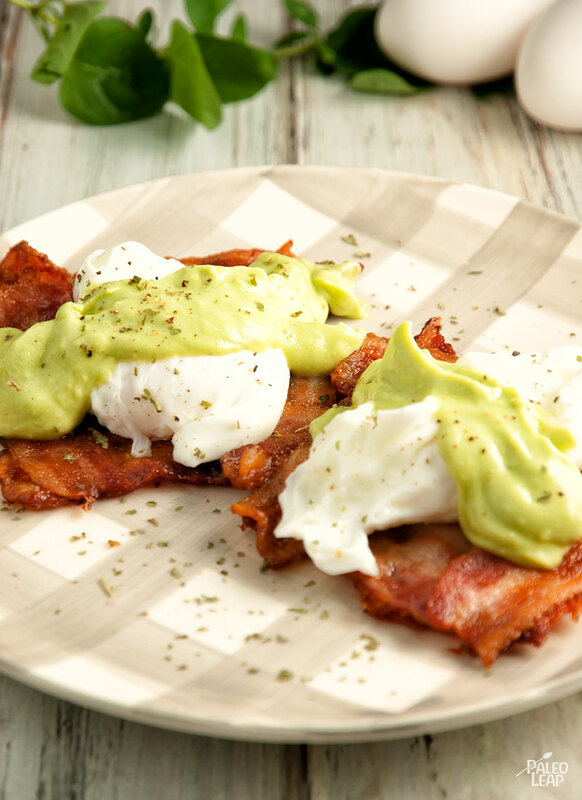 Divide the bacon among the plates, top with the poached eggs and pour avocado sauce on top of each egg.